Liberation art from the offices of the East Timor Development Agency. This NGO sponsored the piece, created by an artist with no prior experience. 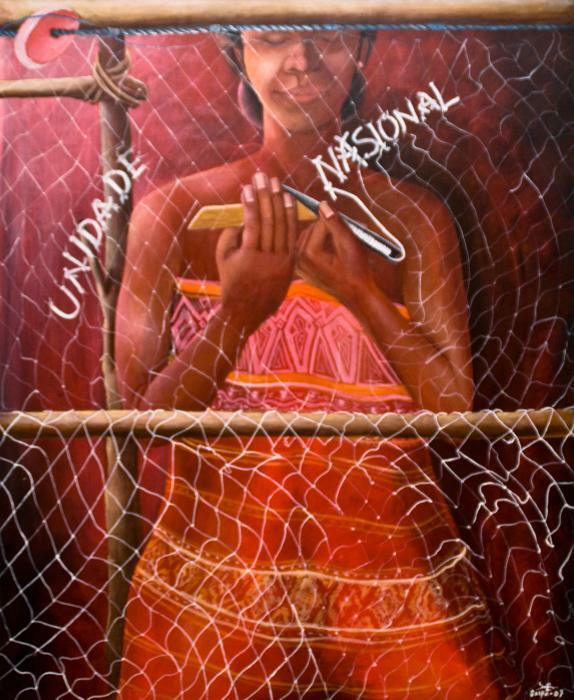 This particular piece shows a woman mending her fishing nets with a potent message.